It's Thanksgiving in the US, a major celebration in which families and friends gather to spend quality time together; naturally entertainment will be high on the agenda. For those that enjoy gaming, meanwhile, it's a chance to break out all those excess controllers and get into the spirit of the occasion with party and local multiplayer games; in an era where so many games are focused on delivering online multiplayer, it's Nintendo that continues to offer the most fun games to enjoy on a shared couch. Of course, outside of the US Thanksgiving has already been celebrated — it's an earlier Holiday in Canada, for example — or isn't on the agenda, in which case this list can simply serve as a reminder of delightful multiplayer games available on the Wii U. There are multiplayer options for those with 3DS systems and enough game copies — such as Super Smash Bros. for Nintendo 3DS and Mario Party: Island Tour — but the current home console offers the most interesting and accessible options while gathered around a TV. So, without further pre-amble, below are five Wii U multiplayer experiences that are just perfect for a day with family and friends. An obvious inclusion, with its recent release — it's about to hit PAL regions in Europe — making it a fresh entry for living room frolics. While beating the snot out of each other in four player battles remains an option, a major new feature is that up to eight players can now jump into the mayhem. If rustling together enough controllers is a challenge you can also throw amiibo into the mix to beef up the group. Beyond simple battles you can also take on Stadium events in co-op, if you're feeling particularly generous in spirit. Another multiplayer staple for any Nintendo gamer, this is arguably — though it'll always be hotly debated — the best entry yet in the series; unless you like Battle mode, that is. It's HD and 60 frames per second if you race in two player, though if you go for four at once you'll have to tolerate 30 frames. 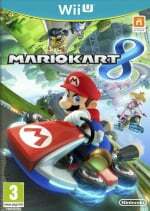 When jostling on a couch and cursing whoever threw that blue shell, this remains one of the best multiplayer experiences that money can buy. We're still happy to champion this launch title / 32GB pack-in as one of the Wii U's best multiplayer games. It utilises the GamePad in various clever ways and includes fun tasters of some beloved franchises — Metroid Blast is one for skilled gamers, The Legend of Zelda: Battle Quest is perfect for those that simply want to wave their arms around, while the competitive delights of Mario Chase, Luigi's Ghost Mansion and Animal Crossing: Sweet Day can still prompt raucous game sessions. It's just fun, which is kind of the whole point. A dose of sublime platforming for the mix. We could always take or leave the 4-player options in Mario's 2D entries, but in 3D World it actually works, by virtue of having enough space to get around. This game feels like an entirely different — and more chaotic — experience in multiplayer, and though many lives will be lost it's an absolute hoot. Whether struggling to co-ordinate direction in a Plessie stage or scrapping over that lovely crown, this is ideal for some boisterous gaming. Here's our curveball, as it's not a Wii U exclusive and we're not even referring to the main game. Rayman Legends is fantastic, yes, but we're recommending the Kung Foot minigame. Suitable for 2 or 4 players, you use the punches and kicks of the characters to play the most insane match of football / soccer imaginable. The pitch is tiny, there'll be loads of goals and it'll get very intense as the timer runs low. This is genuinely scrappy, utterly mad multiplayer fun; if you haven't played Kung Foot with others, do it now. We did opt to only include one party game, but fun alternatives to Nintendo Land include retail titles such as Wii Party U and Game & Wario; shout-outs are also due to eShop games Spin the Bottle: Bumpie's Party and Sportsball, the latter of which is currently only available in North America. A number of you in the US have also tweeted us with a number of top-notch single player games that you'll be enjoying over the Holiday weekend — examples have included Bayonetta 2 and Shovel Knight; it shouldn't be too hard to find an awesome game to play. Let us know what games you'll be jumping into during Thanksgiving, or if you're not celebrating the Holiday tell us which of these local multiplayer games are your favourite. I love all of these games so much! I'm bringing Smash Bros to face off with my cousin today! I would've picked Sportsball for the list. It's a blast. Can get pretty competitive, though! "The Legend of Zelda: Battle Quest is perfect for those that simply want to wave their arms around"
Good luck, trying that in the later levels. Excuse me? How can you miss Monster Hunter 3 Ultimate, the one muliplayer game where you can actually eat stuff?! GET READY FOR SOME 8-PLAYER SMASH. If only I could transfer custom stages. Because it's not local multiplayer on one system nor is it a party game. Nintendo Land is so underestimated, I can see myself playing this all over the Wii U cycle. And now my son is 7, he's been training with the 3DS version of Smash Bros. so he is quite ready for some Full HD coop! all top notch games. 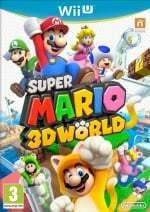 I wish we'd get DLC for mario 3d world. the game is too short! Can anyone even MOVE after thanksgiving dinner?! Considering the context for which this list is made, it should've been obvious what kind of criteria is required for games to make this list. Monster Hunter is great and all but it's not the type of game that you can easily setup for anyone to play on a Thanksgiving evening. The one game the whole extended family wants to play! I'd pick up Nintendo Land if it was still on the eShop. I guess Nintendo doesn't want my money. HAPPY THANKSGIVING! And Go Lions! ... and I own all five of those! We have family who drive in from SC, so we'll be doing some multiplayer gaming for sure. Those games especially. As far as games I'll be playing this Thanksgiving break... Smash WiiU/3DS, Earthbound (started new game), Fantasy Life, Pokemon Alpha Sapphire, and Persona Q mostly. I'd love to play some local coop video games this afternoon, but everyone else just wants to watch football. I came here to check, that Nintendo Land is mentioned. All those games are incredible fun, especially Nintendo Land, I'd never had some much fun with any other game. Since I don't have thanksgiving vacations I'll wait till christmas to play with my family. Happy thanksgiving NLife-rs! I do not celebrate Thanksgiving but my employer does, which means I am now at home instead of working. I nabbed a bunch of discounted games today: on the eShop it was Darksiders 2 and Lego Marvel for $10, while on Amazon I got the Evil Within and Arkham Origins for my PS3 for a total of $35. Wanted to get Shadow of Mordor but I read the port was shoddy and gimped. Anyway, happy Thanksgiving to all my US friends! Wii Sports Club should of been here, or at least mentioned. Played with Family today. Anyone, and I mean anyone can play Bowling. Since none of my family likes to play video games, I will be playing Omega Ruby in a side bedroom while the rest of the family gossips and talks junk about the Ferguson incident in the living room. The drawing game on Wario Ware will get a lit of play. For ease to pick up, learn immediately and have a chance of winning for me its got to be Wii Party U.
I'm still playing AlphaSapphire. Though since I like the older pokémon games better, I'm also playing Emerald alongside it. Sadly the battery died in my GBA cartridge so I can't do anything that requires the clock. Even so, it still rocks more than the 3DS games. They make pokémon WAY too easy these days. 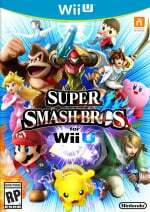 I'm definitely going to be playing Super Smash Bros.Wii U this Thanskgiving. But I've been playing that everyday for a while now. Still good fun. I already celebrated Thanksgiving last month, but I do plan on playing Smash and maybe the Mario Kart 8 DLC if I go to my cousin's house this weekend. I live in Canada! little respect? I can never convince my brother to play co-op with me it seems, even though he and I are both avid gamers. But he'll come watch me play for a few hours so it's all good. Today consisted of about 3 hours of Far Cry 4, an hour of Smash, an hour of Persona Q, an hour of Hyrule Warriors, and 5 hours of Halo Master Chief. I'm stuffed (from the turkey AND the long day of gaming out). Hey, a shout-out for Kung-Foot, nice. It' also good for three players. Triumphing in a 2vs1 match is immensely satisfying! 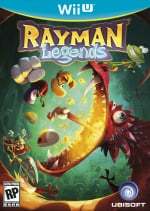 We don't own Rayman Legends, just Origns, but I doubt that would have made it anyway. So the list was right on otherwise. And my basement tv area isn't big enough for Sports Club, not that we own it anyway. And all those other games are just more fun for kids. 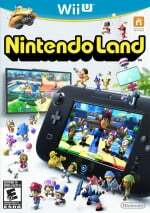 Nintendoland is an amazing game doesn't get the credit it deserves, glad Nintendolife put it on their list. Clicked on the link to this story just to make sure Nintendo Land was included because I'd be a raging madman if it wasn't! Well, i don't really do that, but maybe I'd fume a little. That comment about Battle Quest is just the problem isn't it? People play the first level and think... wow that's pathetically easy and you just flail around, not realizing how great that game is when you get further and specifically if you play with a few people. Plus, GamePad archery is awesome — I do wonder if the new Zelda game will use it as Link's primary weapon at some point in the game seems to be his bow. All the the non-competitive Nintendo Land games have this issue that potentially turns off gamers looking for a challenge. Rayman Legends works surprisingly well in co-op, too. Much better than the New Mario Bros. games at least. The key is that they don't lose their momentum when a player dies... in fact the running momentum levels are so good... maybe SEGA should get those guys to make a Sonic game. Nintendo should be advertising this feature of the Wii U constantly right now. It's the best local co-op console. It should start with Smash Bros and then showcase the other games... even Rayman with its GamePad features, in succession. Thanksgiving themed ad would have been great and still would be. We just played SSBU for 90 minutes, even as good as the kids are my wife won a round and so did I. Basically we let them beat on each other and hide. That board game is still kind of lame, and confusing as all get out. Maybe if the kids bothered to explain it to us, but just jumping in it made no sense. And the kid w/ 8 characters crushed the 3 of us w/ 3 each, no contest there. But surprisingly the other kid won b/c he had the most KO at the end. Crazy. Rayman is great co-op. We finally finished Origins and there's something very fast paced fun about it. Stealing the bubbles from Mario did help alot. I think you need to be a gamer to really get into it though, not easy. I'm not sure why we don't have Legends yet. Maybe I should ask Santa. Know what I think is odd marketing - amiibo. They're selling out all over it seems so a dedicated game I suppose wasn't necessary, but when I boot up the Wii U and see DI 2.0 in 1 of those floaty boxes I always look around for amiibo. I know SSBU is the big amiibo game but I doubt many people click on SSB Miiverse for amiibo. Even if they didn't get a game they should at least get an app. Have you ever seen that Animal Crossing wara wara plaza? It's like the start up menu but it looks good. amiibo should at least have their own wara wara plaza to chill in for people that have 5 or 6 of them to mingle in, and you could take snapshots like in SSBU. Something simple like that where they could be advertised on the Wii U start up screen. Maybe even just put your amiibo in the plaza. OK maybe that last part was a little bit of a rant. @rjejr wara wara plaza for Amiibo is a great idea. I'm usually against a lot of intrusive in-game marketing but I think all the little parts of Wii U: miiverse, wara wara plaza(s), the store, in-game doc, Nintendo club. It should all interconnect more smoothly and naturally. I highly recommend Rayman Legends, it's better than origins in every way. I do miss the shooting stages a little but the new stuff Is better. It can get very challenging, too. @aaronsullivan - "It can get very challenging, too." @rjejr I'm pretty sure you can just keep restarting a stage in Rayman Legends and they are a reasonable length. That way it is hard, but it's not too punishing, you just laugh at yourself and try again.